Hi! 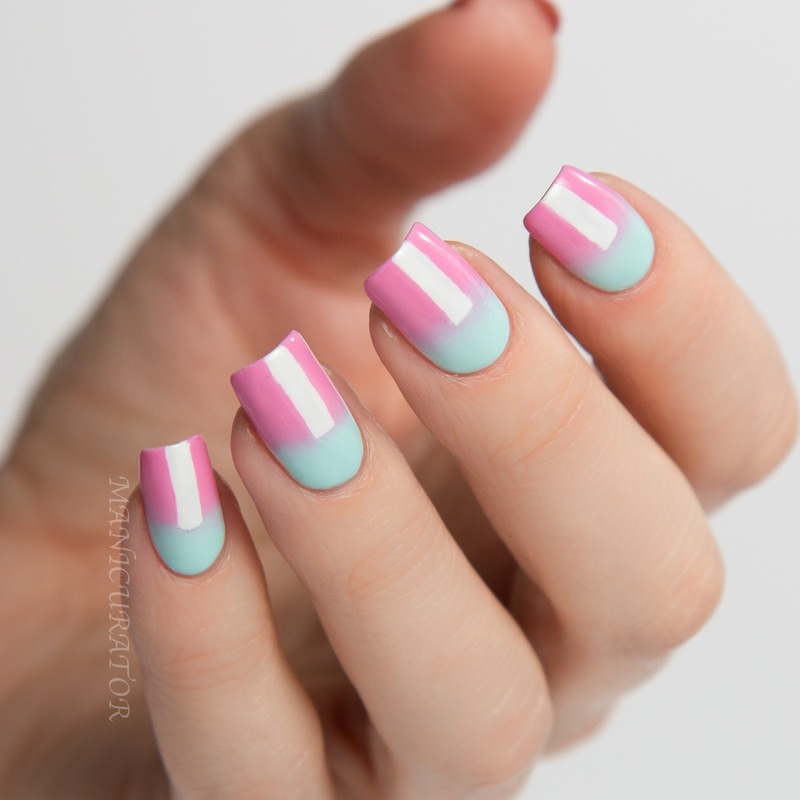 I'm showing you a manicure I created at the last minute to join up with the ladies from Paint All The Nails group I'm in. I'm so glad to be able to participate this month in their once a month theme/link up. They are all so talented! And moreover I get to debut the two new Dior shades from the Spring 2016 Glowing Gardens collection! So much yay! 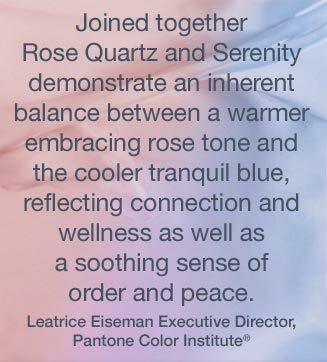 I know Dior Bleuette 301 and Dior Lilac 491 aren't perfect matches for the Pantone colors (yes, there are two this year!) 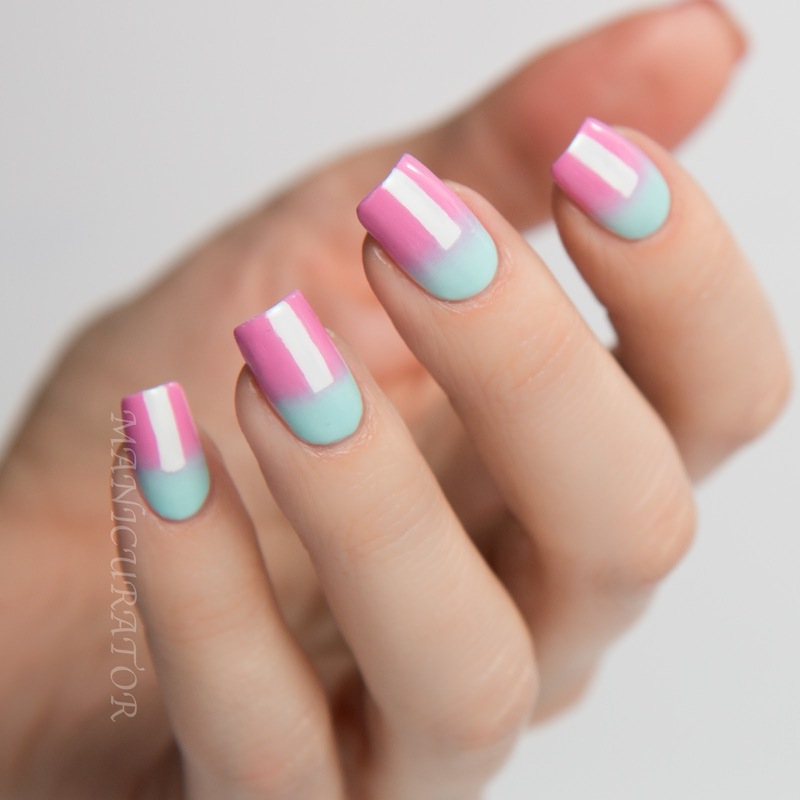 of 2016 but I couldn't resist using them for this challenge, and they evoke the same feelings for me that Rose Quartz and Serenity do. 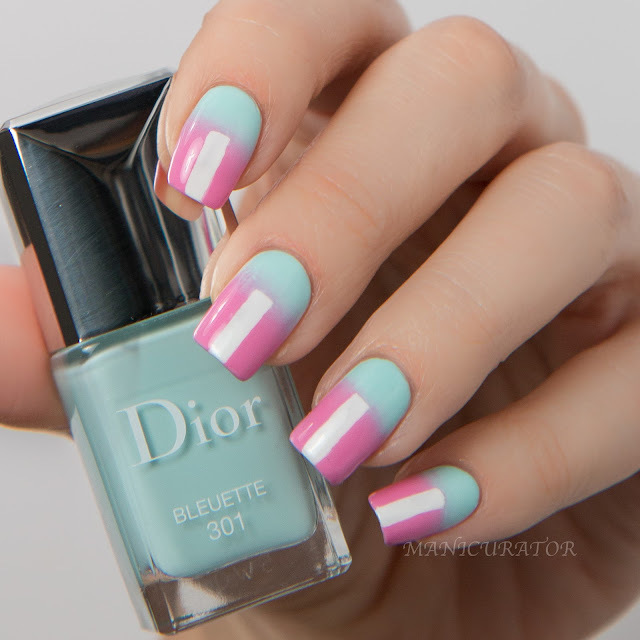 I'm absolutely in love with Dior Bleuette. It's MY color. 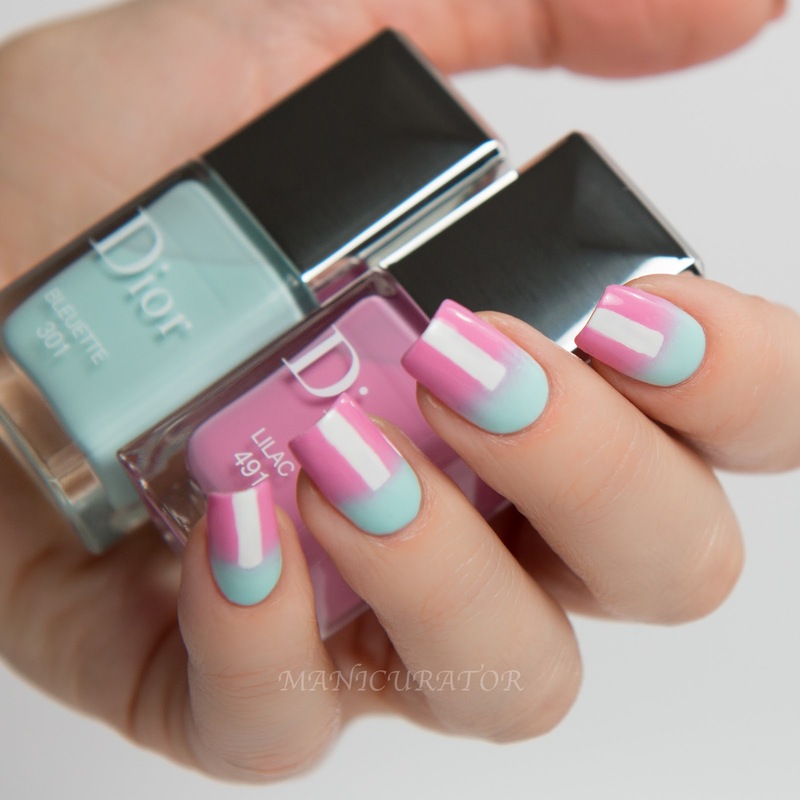 I've sponged on the Dior shades over OPI Angel with a Leadfoot and had no problems at all. 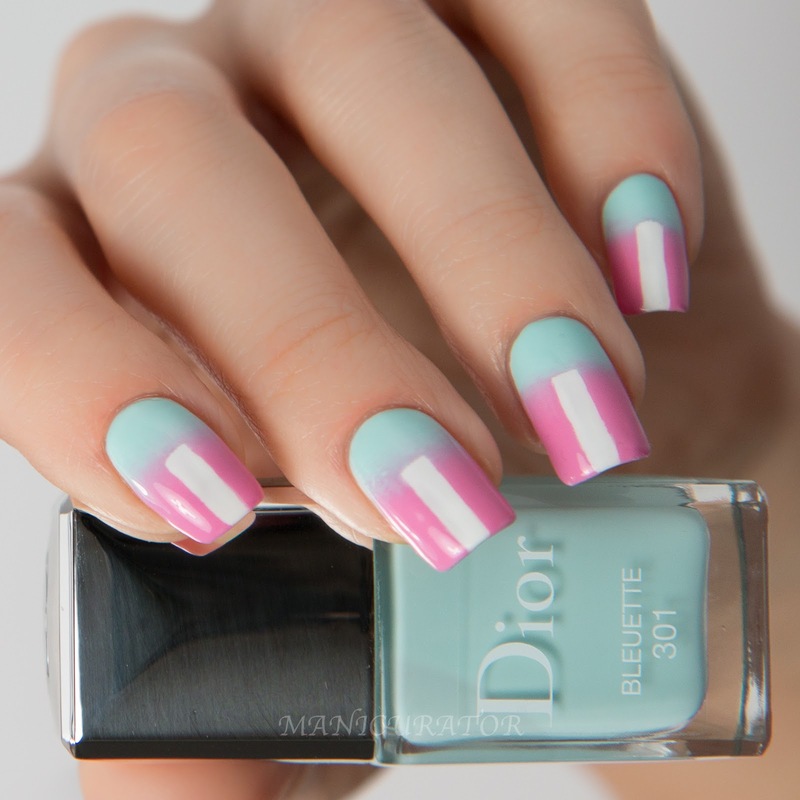 I wanted to add a simple design to the gradient, one that would be at the same time striking but not detract from the two lovely Dior shades. 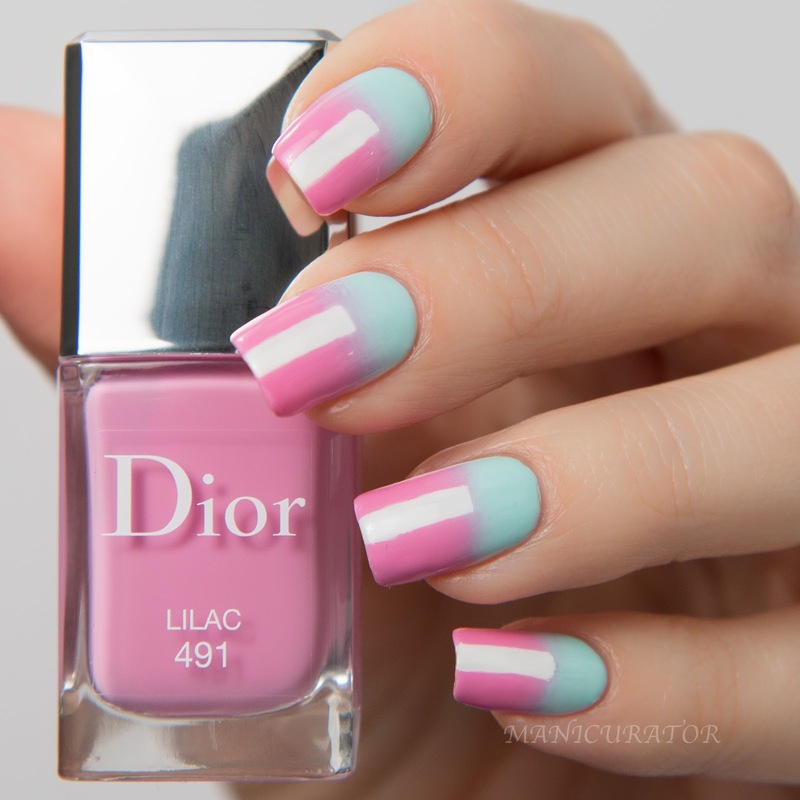 Dior Lilac is another perfect Spring shade if you ask me. I wore this one on its own all last week and it was lovely to have on my tips during NYC's gigantic blizzard! I am in fact, looking forward to the blossoming of Spring, while patiently waiting for all this snow to melt! OK, so there you have my design, hope you like it as much as I do!! I'm noticing my photos are translating as crisp and clear as I'd like them..so..something for me to work on! Dior Glowing Gardens collection can be found at Dior.com, and on counters worldwide.